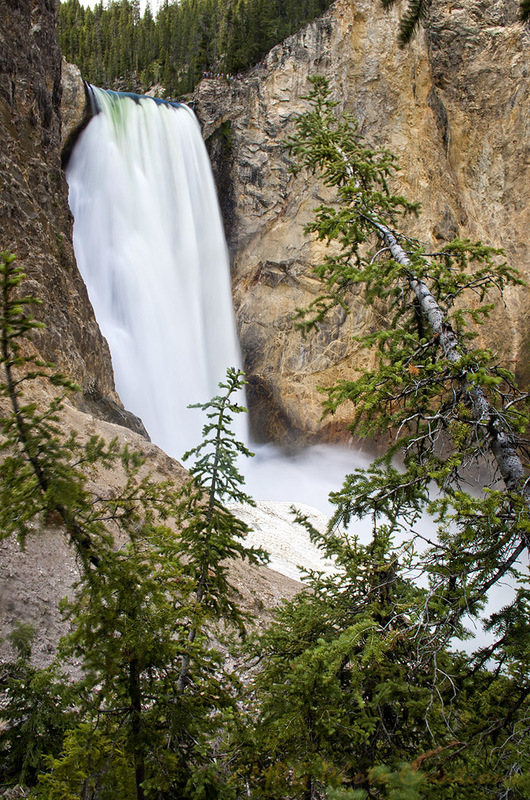 This is another view of the Lower Falls of the Yellowstone in Yellowstone National Park. This view was taken on Uncle Tom's Trail. It is about a 500 feet decent into the Canyon of the Yellowstone on about 300 steps. Going down wasn't too bad but going back up was rather strenuous. I took this image on one of my rest stops back up the stairs. It's a bit of a long exposure as well to get the look of the water as it is.